Did you know that Mod Podge has been around since 1967??? I had no idea. It was invented by Jan Wetstone, who has since passed away, but the legacy lives on, and now with more formulas and finishes to choose from than ever before. 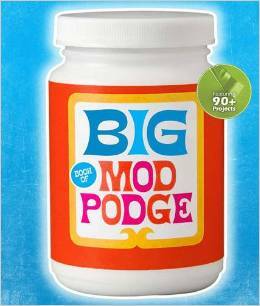 Lark has a brand new book out, honoring and demystifying this amazing material: The Big Book of Mod Podge. 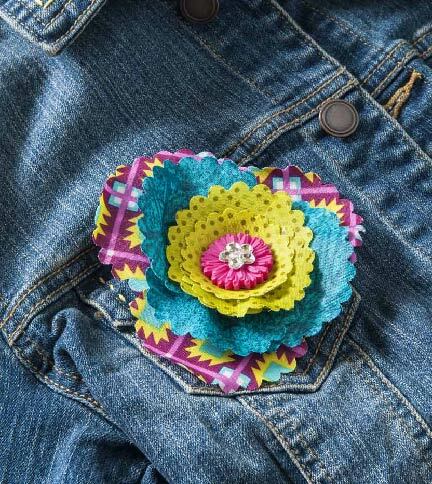 This is a fabulously fun brooch from Candie Cooper! And these are cuff bracelets made by Mark Montano! 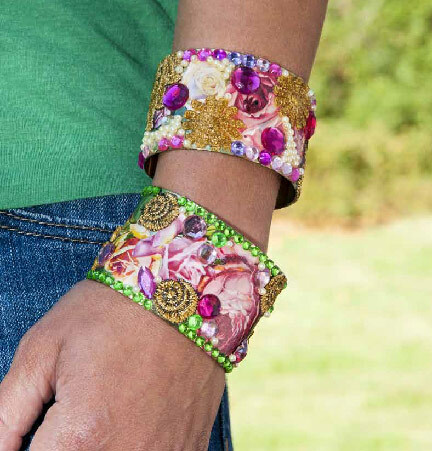 Did you ever think about using Mod Podge for your jewelry projects...? I must have one of those containers from 1967! It's hard as a rock! I had to ck when I saw your post! So funny...will look up that book..hard to keep a 12 and 15 year old busy on grandma day! !